Your access to and use of Virtual Swanage ("the Website") is subject exclusively to these Terms and Conditions. The use of this site is only for lawful purposes, in a manner which does not infringe the rights of or restrict or inhibit the use and enjoyment of this site by any third party. Such restriction or inhibition includes, but is not limited to, conduct which is defamatory, or which may harass, cause distress or inconvenience to any person and the transmission of obscene or offensive content or interruption of the normal flow of dialogue within this site. Virtual Swanage is not responsible for the availability or content of any third party websites or material you access through this site. If you decide to visit any linked site, you do so at your own risk and it is your responsibility to take all protective measures to guard against viruses or other destructive elements. Virtual Swanage does not endorse and is not responsible or liable for any content, advertising, products, services or information on or available from third party websites or material (including payment for and delivery of such products or services). Virtual Swanage is not responsible for any damage, loss or offence caused by or, in connection with, any content, advertising, products, services or information available on such websites or material. Any terms, conditions, warranties or representations associated with such dealings, are solely between you and the relevant provider of the service. Links to this site must be direct to any complete content page (and not any part of a page) within virtualswanage.co.uk and must not be viewed within the pages of any other site. Virtual Swanage disclaims all liability for any legal or other consequences (including for infringement of third party rights) of links made to this site. Links do not imply that Virtual Swanage endorses, is affiliated or associated with any linked site, or is legally authorised to use any trademark, trade name, logo or copyright symbol displayed in or accessible through the links, or that any linked site is authorised to use any trademark, trade name, logo or copyright symbol of Virtual Swanage or any of its affiliates or subsidiaries. 5.1 All copyright, trade marks and all other intellectual property rights in the Website and its content (including without limitation the Website design, text, graphics and all software and source codes connected with the Website) are owned by or licensed to Virtual Swanage or otherwise used by Virtual Swanage as permitted by law. This site and the information, names, images, pictures, logos and icons relating to www.virtualswanage.co.uk, Virtual Swanage and/or any of Virtual Swanage's associated companies, products and services (or to third party products and services), is provided "AS IS" and on an "AS AVAILABLE" basis without any representation or endorsement being made and without warranty of any kind, including but not limited to the implied warranties of satisfactory quality, fitness for a particular purpose, non-infringement, compatibility, security and accuracy. The information and other materials included on this site may contain inaccuracies and typographical errors. Virtual Swanage does not warrant the accuracy or completeness of the information and materials or the reliability of any statement or other information displayed or distributed through the site (including, without limitation, the information provided through the use of any software). You acknowledge that any reliance on any such statement or information shall be at your sole risk. Virtual Swanage reserves the right, in its sole discretion, to correct any errors or omissions in any part of the site and to make changes to the site and to the materials, products, programs, services or prices described in the site at any time without notice. In no event will Virtual Swanage and/or third parties be liable for any damages including, but not limited to, indirect or consequential damages or any damages including, but not limited to, errors or omissions, indirect or consequential damages or any damages whatsoever arising from use, loss of use, data or profits, whether in action of contract, negligence or other action, arising out of or in connection with the use of the site. These exclusions do not apply to death or personal injury caused by Virtual Swanage?s negligence and only apply to the extent permitted by law. Virtual Swanage is not responsible for any damage, loss or offence caused by or, in connection with, any content including third party forum submissions, advertising, products, services or information available on the Virtual Swanage websites. Virtual Swanage does not warrant that the functions contained in this site will be uninterrupted or error free or that defects will be corrected or that this site or the server that makes it available are free of viruses or bugs. Virtual Swanage does not represent the full functionality, accuracy or reliability of any material. Virtual Swanage may terminate, change, suspend or discontinue any aspect of this site, including the availability of any features of the site, at any time without notice or liability. You agree to indemnify and hold Virtual Swanage and its employees and agents harmless from and against all liabilities, legal fees, damages, losses, costs and other expenses in relation to any claims or actions brought against Virtual Swanage arising out of any breach by you of these Terms and Conditions or other liabilities arising out of your use of this Website. Please do not submit mirror sites. Mirror sites are sites that contain identical content, but have different URLs altogether. We only accept businesses where the owners or the business is located in the BH19 and BH20 postal code area in the United Kingdom. Wait until your site is complete before submitting your URL. Sites which are incomplete, contain "Under Construction" notices, or contain broken graphics or links are not good candidates for the directory. Please do not submit accommodation related websites or businesses to this section, we have a dedicated accommodation section just for accommodation related businesses. We recognize that security has become a critical issue for Internet users. Virtual Swanage takes precautions to protect the integrity of your information and to avoid loss, theft, misuse or alteration. Virtual Swanage uses industry-standard, commercially available technology, such as firewalls and SSL (Secure Socket Layer) Encryption, to protect your registration or online transaction information. To check the security of your connection, look at the upper right-hand corner of your browser window after accessing the server. If you see a closed lock then your information will be encrypted as it is transmitted. This site contains links to other sites. Virtual Swanage is not responsible for the privacy practices or the content of such Web sites. All images on this website are copyright by Virtual Swanage unless otherwise stated. You may not reproduce, or link to, any of these images without written consent from Virtual Swanage. Use of any images on this website without prior permission will be investigated and that party will be fully liable to the fullest extent of the law. 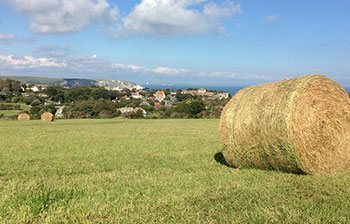 If you do wish to use any images on a publication or website, please contact Virtual Swanage for usage information.